Choice Transitions, founded by Daniel Baccari and Scott Cabral, is a result of over twenty years of experience in the dental transition marketplace. In 1996, Baccari and Cabral graduated from law school and entered into the dental transition field gaining their early experience working for a local dental practice broker. 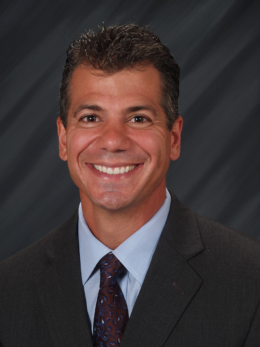 In 1998, Mr. Baccari opened Baccari & Associates and began transitioning dental practices in the New England area. Mr. Cabral joined him in 2003 and they formed The Baccari Cabral Group (BCG). BCG became one of the fastest growing brokerage firms in New England, successfully selling numerous dental practices. In 2008, BCG started expanding outside of the New England area and was transformed into National Practice Transitions (NPT) and opened their first office in Ohio. Over the last decade, the NPT team has grown and opened several offices in several territories stretching as far west as Illinois and covering all the states in between and down the eastern seaboard to Georgia. Co-owner of National Practice Transitions, Dan was the co-founder of The Baccari Cabral Group, LLC, a highly recognized and successful dental practice brokerage and consulting firm credited with the sale of and appraisal of hundreds of dental practices across the northeast since 1997. His duties with the company involve the management of the New England territory, appraising and consulting with numerous dentists and specialists with the transition of their dental practices. While the majority of his time is spent in the capacity of a dental practice broker, Dan also uses his legal training to represent parties who are either buying or selling a dental practice. Over the last 20 years, Dan has guest lectured at the invitation of numerous dental societies and organizations on many topics involving or related to the transitioning of dental practices. 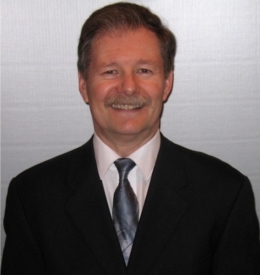 He is is the published author of numerous articles including "Alternative Approaches In Practice Transitions", "Landlords: An Often Overlooked Obstacle For Closing" and "Non-Competition Agreements in Dental Practice Transitions." Dan holds a Bachelor of Business Administration in Marketing from Hofstra University, in New York and a Juris Doctorate from Roger Williams University School of Law. At the beginning of his professional career, Dan worked for Dow Chemical Company in a busy New York City territory earning the distinction as the National #1 Sales Representative among first year hires. Following that and prior to entering into the dental transition industry, before and while attending law school, Dan founded and managed a highly successful landscape construction company (still in existence), which he transitioned and sold after graduating from law school. Most of his free time is spent with his 2 children with their busy lives, skiing, camping and watching their sports and activities. He enjoys working out, and playing golf with his friends. Co-owner of National Practice Transitions, LLC, Scott Cabral was the co-founder of The Baccari Cabral Group, LLC, a highly recognized and successful dental practice brokerage and consulting firm credited with the sale of and appraisal of hundreds of dental practices across the northeast. Since 1996, Scott has personally appraised, consulted, transitioned and sold hundreds of dental practices within New England. Additionally, he has trained, assisted, and continually oversees National Practice Transitions territory representatives across the country. Scott holds a Bachelor of Science degree in Business Management and a Juris Doctorate degree from Roger Williams University School of Law (inaugural class). He is admitted to practice law in the State of Rhode Island and the Commonwealth of Massachusetts. Scott has guest lectured at the invitation of several dental societies and organizations on the topic of "Practice Transitions". Additionally, he is the published author of several articles including, "Notifying Your Staff, When Is The Right Time To Announce Your Intention To Sell? ", "Understanding Lease Provisions and Available Options" "The Dual Headed Monster, Why To Avoid Dual Representation Brokerage Firms" and "What Is My Practice Worth?" Prior to entering his current field, Scott received his associate degree in electronics and engineering from NEIT and worked at Raytheon Corporation on such protects as CGN-36 and Patriot Missile Project - both playing significant roles during the Persian Gulf War. Scott is married and has two boys. He enjoys golfing, camping, boating and travel. Denise Cabral is the Territory Manager for Choice Transitions. 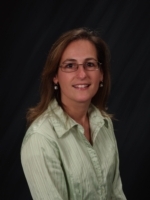 She oversees all territories outside of New England and manages our team of regional representatives. In addition, utilizing her education and tax expertise, Denise is responsible for the preparation of the dental practice appraisals utilized to market and sell our listings. Denise is a Certified Public Accountant who was employed in public accounting for 26 years before joining our firm. She earned her Bachelor's degree in Accounting as well as her Masters in Taxation from Bryant College. Besides working in public accounting, Denise also taught accounting and math at Johnson and Wales University in Providence, RI. Denise is married to co-founder, Scott Cabral, and they have two sons. She enjoys country dancing, camping, traveling and especially spending time with her family and friends. Dr. H. Frederick Bacon joined National Practice Transitions in 2013 as the southern territory representative for Tennessee, Arkansas, Mississippi, and Alabama. Residing in Memphis, Dr. Bacon is strategically positioned to service his territory by: providing his clients with face-to-face meetings, accompanying buyers to practice showings, and being accessible for any issues that may arise throughout the entire transition process. From the initial phone call to the final hand shake at closing, Dr. Bacon prides himself on his ability to provide the highest level of service possible to his fellow colleagues, who are more than just clients to him. Dr. Bacon holds a Bachelor of Science in Zoology from the University of Louisville. Additionally, he obtained his Doctor of Dental Surgery from the University of Tennessee College of Dentistry. He practiced family dentistry in Memphis, Tennessee from 1974-2007. After selling and transitioning his own dental practice in 2007, Dr. Bacon took a position as an Assistant Professor at the University of Tennessee College of Dentistry. Dr. Bacon has sold numerous practices as a representative with National Practice Transitions. His education, first hand experience, and love of dentistry inspire him to help other dentist and professionals transition their practices. Bob currently resides and maintains a business office in Richmond, VA. He and his wife are the proud parents of three children and have six grandchildren. Bob graduated from East Carolina University with a B.A. Degree and has since completed hundreds of hours of banking, business compliance and regulatory courses. He has over forty years of experience in the financial services industry, specifically in the banking arena and with Real Estate and Small Business Lending. He has worked for some of the largest financial institutions in the world such as Wachovia, Chase, First Union, World Savings and Countrywide. Most recently, Bob owned and operated Medical Transitions Group, a small firm specializing in the sale of dental and medical practices. Bob takes this experience, industry contacts, and potential clients over to NPT. His knowledge and understanding of practice value and cash flow analysis allows him the opportunity to provide a thorough analysis that a dental professional appreciates while transitioning, and dealing with the financial and emotional stress. Bob can help make that process seamless and the results achieved are always the best possible! 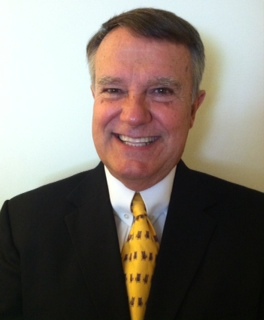 John E. Evans, MAI, joins NPT following an extensive career in finance and commercial properties. John was most recently Managing Director at Real Estate with Leisure Financial Group, a national finance firm. He brings nearly 30 years of experience with large international firms, smaller boutique firms, and has run his own consulting/advisory practices. Prior to joining Leisure Financial Group, John spent nearly 10 years with GE Capital, serving as Deal Leader for the first 6 years, and then Senior Valuation Specialist the last 3+ years. While at GE Capital, John lead the Underwriting of primarily debt deals for golf course, hotel, and various commercial property types across North America, Mexico, and Europe, helping build an international portfolio. For the last year with GE Capital, John assisted in the final divestiture of the portfolios, as GE elected to leave the CRE marketplace. John helped start Summerstreet Advisors, a national CRE consulting/advisory firm, based in Westport, CT. And prior to this, John worked with several national/international firms providing a wide range of CRE advisory, valuation, asset management, and risk services. These firms included the golf group of PricewaterhouseCoopers; US Realty Consultants, a national valuation firm; and Golf Realty Advisors, a national golf advisory/development management firm based in Boston. He also started and runs Active Management, Inc., offering services across North America and Europe. John is a graduate of Miami University where he received a Bachelor of Science degree in Organizational Administration/Finance. He is a certified Six Sigma Green Belt and is a Member, Appraisal Institute. 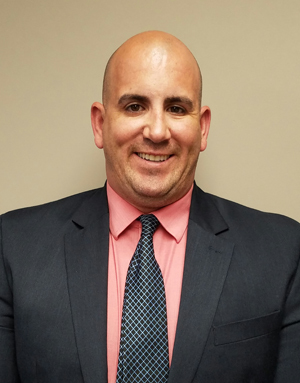 John is excited to be teaming up and eventually taking over for Jason Gamble, NPT’s current Territory Representative who has resided and maintained an office in Columbus, OH since November 2009. Jason has successfully sold numerous dental practices within his territory and has built an extensive pool of buyers qualified to purchase a dental practice in the immediate future. 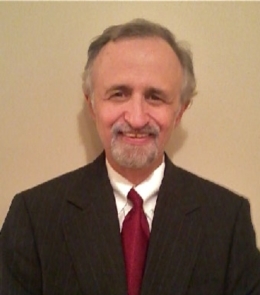 Dr. Bernard R. Kowalski (“Bernie”) joined National Practice Transitions in 2013 as the east/mid Atlantic region territory representative for central and eastern Pennsylvania, New Jersey, Maryland, District of Columbia and Delaware. Residing in Doylestown, Dr. Kowalski is geographically positioned to service his territory by: providing his clients with face-to-face meetings, accompanying buyers to practice showings, and being accessible for any issues that may arise throughout the entire transition process. Having bought and sold a number of dental practices himself over the years, Dr. Kowalski understands the questions and concerns involved in the process and prides himself on his ability to provide the highest level of service possible to his fellow colleagues, who are more than just his clients. Dr. Kowalski holds a BS and MS from Rutgers University and a DMD from Fairleigh Dickinson University School of Dentistry, both in New Jersey. Following a General Practice residency at the Brooklyn VA Hospital in NYC, Dr. Kowalski worked as an associate in small practices and large clinics throughout New Jersey. He owned and operated 3 dental practices in New Jersey, including 2 offices that were started from scratch, before selling all 3 and relocating to Pennsylvania in 1997. Dr. Kowalski then bought an existing practice in Bucks County, Pennsylvania, before selling and transitioning a few years ago. 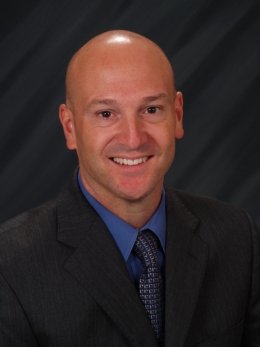 Dr. Kowalski is a member of the American Dental Association, the Pennsylvania Dental Association, a Fellow in the Academy of General Dentistry, and a member of the Institute of Business Appraisers. In addition to the dental practice sales Dr. Kowalski has successfully sold since joining National Practice Transitions, his personal experience in acquiring, operating, and selling his own practices has provided Dr. Kowalski further insight into the dental transition process. He has gained valuable expertise in practice valuations, negotiation skills, lease arrangements, in addition to building successful, cohesive teams and coordinating multiple priorities while working with brokers, attorneys, and financial representatives. He and his wife reside in Doylestown, PA, with their 2 children. 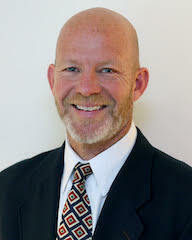 Rick McNamara joins us with over 5 years of experience in the dental and sales management. He was a United States Marine Non-Commisioned Officer for 9 years. He has several years of experience in the marketing and sales of dental practices and real estate, as well as extensive experience in commercial lease negotiations. His extensive knowledge, diverse background, and vast experience allow Rick to negotiate and facilitate a fair and successful deal between the parties to a transaction. Rick has a stedfast dedication to successful transitions, from an initial showing to the final closing. We have a team of experienced professionals with a vast array of backgrounds including dental, legal, sales, accounting, marketing, and finance. Our goal is to provide you with all the resources of a large national firm, coupled with the exceptional service of a small local business.